Download the new acceptable list here today! The “blue box” program was designed originally to collect specific materials: newspapers, steel cans, aluminum cans, glass bottles and jars, and PET plastic bottles. The program was expanded to include other materials as markets developed and we had the capability to effectively handle them. Materials such as magazines, phone books, junk mail, cardboard boxes, boxboard, plastic bottles of different resin types, etc. However, the program was always only intended for Printed Paper and Packaging. Over the years, users have forgotten the intent of the program and soon we began to see non-acceptable items included in the containers. It is important to remember that our acceptable list is not simply a “guideline” it is what we can accept. We find that many people confuse the fact that something that might be recyclable is also acceptable in the blue box program. That is simply not true. Let me explain. Just because something is made of metal and may be perfectly recyclable at a local scrap yard it does not mean it is acceptable in the blue box for recycling. Placing pots and pans, bake ware, chains, electrical extension cords, nuts and bolts, etc. in the blue boxes simply adds to the contamination and down time in the processing facility. This also has the potential to add risk of injury for our employees. The same can be said of glass. Unless it is a bottle or a jar, glass in general is not acceptable in the blue box. As such, there should be no window, no drinking glasses, no mirror panes, no bakeware, no crystal bowls, etc. in the blue box. Over the years, the demand and quality specifications for different materials has changed. At the same time the actual composition of the blue box materials has also changed. In general, end markets have always demanded high quality standards from us with the exception of the export markets, specifically to China. With China’s growth and ever increasing need for resources to feed that growth, they aggressively pursued the world markets for our commodities. They had two advantages, namely cheap freight and cheap labour Because we buy more goods (shoes, shirts, phones, etc) from China than China buys from us, they have all of these empty sea containers going back. The cheap labour enables China to sort at home for less than we can sort materials domestically. It was easy for them to convince sellers around the world to do less sorting and ship mixed materials to them for essentially the same price they were getting for sorted commodities. The end result was a huge dependence on the China market to sell lower quality mixed materials. The pressure was so severe that many established paper and steel mills in North America that relied on a steady supply of clean sorted raw materials at a reasonable price, closed their doors in the last recession and never re-opened because they simply could not compete with China. In recent years, as China has struggled with the results of their buying practices, a number of initiatives have been launched to curtail excessive contamination yielding little to no benefit for their economy. At first they focused on quality and they successfully improved the material quality but not without causing many waves in the process. At times, buyers have pulled from the markets to cool off demand and lower prices. In 2017, the Chinese government simply did not renew the required licenses for their industries to import materials and they made an announcement to the World Trade Organization that they would ban 24 commodities by December 31. Material movement has stopped in some cases and prices have plummeted. Furthermore, most commodities have a 5% allowance for contamination built-in; however that standard is now being pushed to a 0.5% contamination allowance. In other words, that is a purity rate 10 times more stringent than in the past. Since then, they have banned 32 more materials on December 31, 2018. Another 16 materials are planned to be banned by the end of 2019 with a complete ban in 2020. 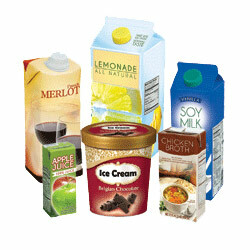 Cartons consist of multi-laminate packaging also known as aseptic and gable top cartons used for juice, milk, soups and broth. They make up approximately 0.71% of the overall waste stream. They were the last material added to the program in 2012. Historically, these materials were not recyclable. Recent advancements have enabled the recycling of these containers as they have pristine long white fibers as one of their layers. Unfortunately, the other plastic and metal layers remain problematic for end markets. When we added them, the intent was to recover enough of them to access special markets that made new office paper with them rather than the traditional tissue paper. Despite our best efforts to recover these containers we have not been successful. We collect about 70% of the available material, however we have only been able to capture less than half of the containers collected. The primary reason for this is their “shape shifting” tendencies. In our processing facility, if the cartons are flattened during collection (compaction) or from being handled (piled up on the tip floor), cartons can end up flowing over a mixed paper or finishing screen, thereby ending up in the mixed paper stream. About 50% of the containers end up in the mixed paper as a contaminant. Some components in cartons can impact the pulping process and lead to decreases in fibre yields in mixed paper pulping applications. Moreover, this outcome decreases the economic value of cartons as the price paid for polycoat bales is higher than the price paid for mixed paper bales. The remaining containers are sorted accordingly by our optical sorter but the volumes are too low to maintain a separate grade. Our recommendation is for users to purchase their food in other acceptable recyclable containers such as plastic jugs for milk, or metal cans for soups and broth. 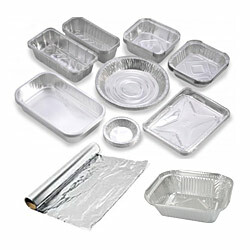 Aluminum foil and aluminum foil products such as pie plates and take out trays make up approximately 0.27% of the overall waste stream. The material has been tolerated in our aluminum can bales for years but we typically loose $200 per tonne in revenue because they are present. Our equipment technology cannot differentiate foil from cans and there is not enough of it to have anyone hand pick it and save it as a separate commodity. Another related product is aluminum food cans such as those used for cat food with a peel top. They typically have a paper label, plastic lining, and leftover food. All are a serious contamination to the manufacturer of cans. These contaminations result in imperfections in the new aluminum products causing higher failure rates and as a result, end-markets only want aluminum beverage cans. The aluminum foil is usually heavily contaminated with food residue but even if it was in pristine condition, it’s still considered a contamination in the can bales. The main reason behind this is the furnace temperature to melt the aluminum cans is so high that any foil material in the mix is simply burnt off and the residue has a tendency to clog their anti-pollution air emission systems. You are best to reuse the foil products where possible. Use them for craft projects, when feasible. 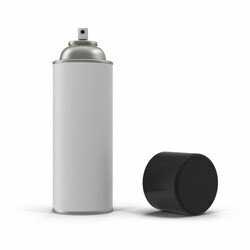 Aerosol containers consist of pressurized steel or aluminum containers used for many applications from hair spray to paint. They make up approximately 0.22% of the overall waste stream. In Ontario, these containers are technically designated hazardous waste. While in theory, an empty container is no different than a regular can, in reality when the container is empty of its contents (hair spray or paint) it is often still full of the propellant which is the hazardous part. As such, it remains a hazardous waste with its explosion risks and should be managed with those products at special depots. Similarly, disposable propane tanks should be managed the same way regardless of the manufacturer’s instruction that they may be recyclable. 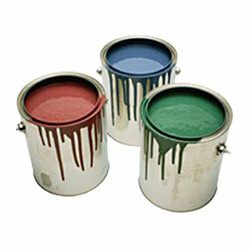 Paint cans consist of metal or plastic containers used to hold paint. They make up approximately 0.05% of the overall waste stream. Empty metal paint containers are still acceptable. Empty plastic paint containers have never been acceptable. You cannot often tell the difference unless you look at the bottom of the can. There are still instances where the cans are not empty and they are technically hazardous waste and need to be managed at special depots. This is a new problem for us. In the 1990’s everything was large and club pack sized. Today, everything is becoming smaller, and sold in individualized sizes of greater variety. The end result is trying to sort out confettis and it’s nearly impossible despite having one of the most advanced processing facilities in Ontario equipped with the best technology and people. Quality matters more than ever (markets want 99.5% pure material) and anything below a certain size has to be screened out to purify the rest of the materials. Recommendation. Buy larger recyclable containers and use reusable individually sized containers instead. Leave lids on the containers where possible to ensure that they get recycled. Metal lids from food cans should be placed inside the steel can and the top should be pinched to keep it there. Anything smaller than 3 inches will either contaminate our glass or they will be screened out and disposed of instead of being recycled. You have the power to choose what you buy as a consumer. If you value convenience over the environment, then be prepared to pay the full price to dispose of that convenience item. Choose and consume wisely, and remember that when in doubt, leave it out…of the recycling container.